This is a lesson I created for the IPC Roman topic which turned out brilliantly. It worked well with Yr 4 and up and could be adapted for much older pupils. Students should try to draw by eye but they can either transfer or trace to help with differentiation. 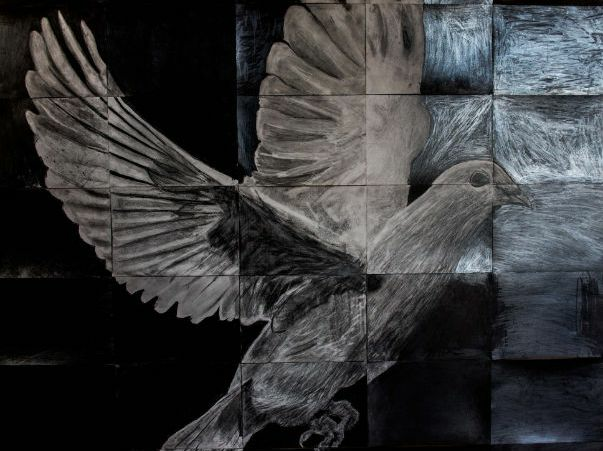 This projects develops tonal awareness and gives students the opportunity to work with charcoal and chalk. Let us create Icons of Peace and Equality around the world made by young people. 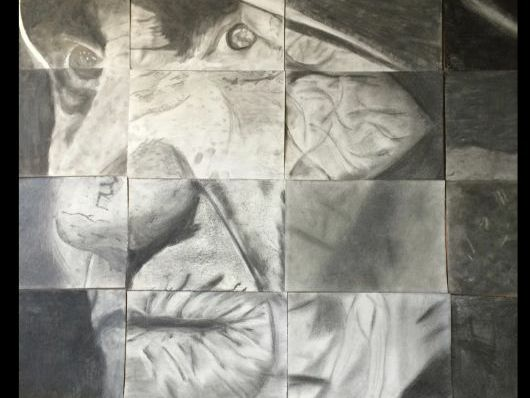 https://artclassroomproject.wordpress.com/ In a time when there is so much unrest in the world, students have been involved in making portraits representing the ethical, the good, the positive, and of unwavering tolerance reminding all who see the works that people can indeed still make a difference. Academically, it is important to demonstrate to students that art does not exist in isolation but draws from all disciplines and subject matter throughout their curriculum. By having students work together to produce each individual portrait, they have symbolically, albeit in a small way, been participating in something positive and progressive, reaffirming the fact that people with a shared view can all be actively involved in positive change. 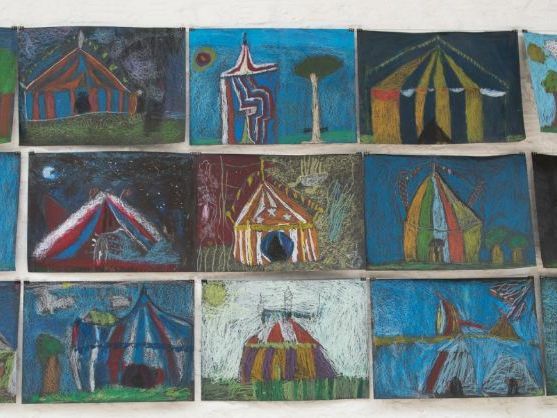 A project from the theme was ‘All the fun’ which explores the many facets to do with Circus, Theme park and Carnival. 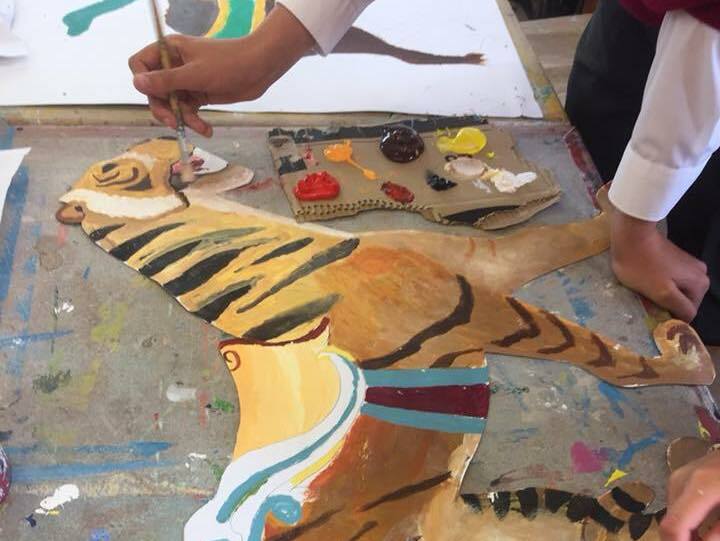 Pupils use photographs of carousel animals to create their own painted version. They develop a deeper understanding and knowledge of colour mixing and how to blend. 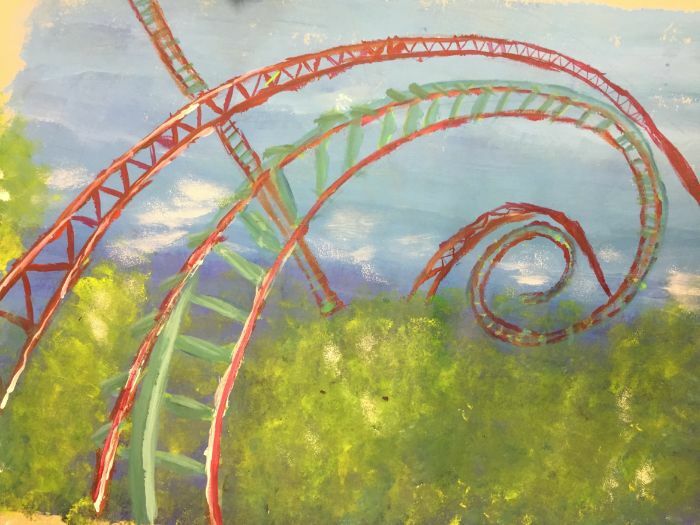 Fabulous Oil pastel project which is part of my ‘All the Fun’ theme. 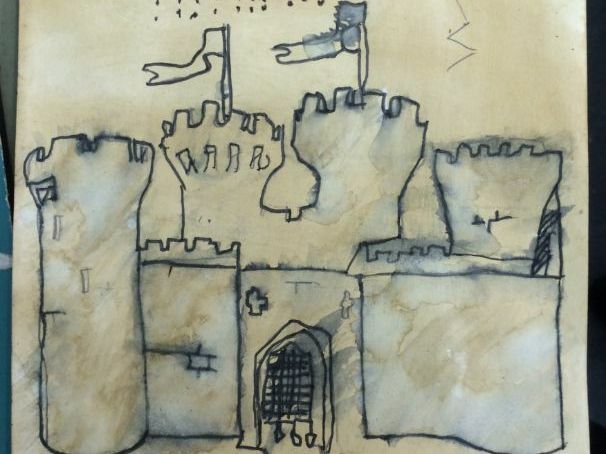 This is an engaging 2 lesson artwork which builds drawing and colouring skills. 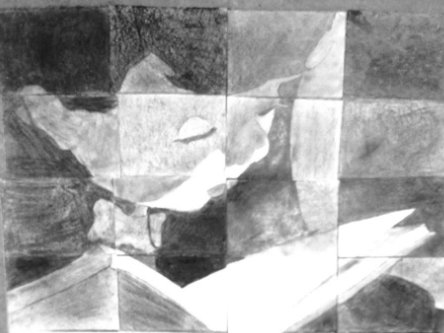 Pupils practice oil pastel skills using white and black overlay to achieve highlights and shadows. This would be a great lesson for Yrs 1-4. 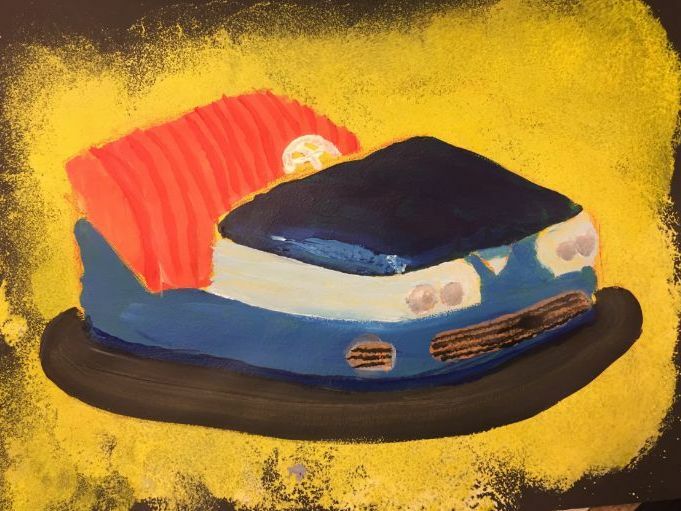 A year 6- 9 fun project where pupils produce painted bumper (dodgems) cars for a theme park theme. 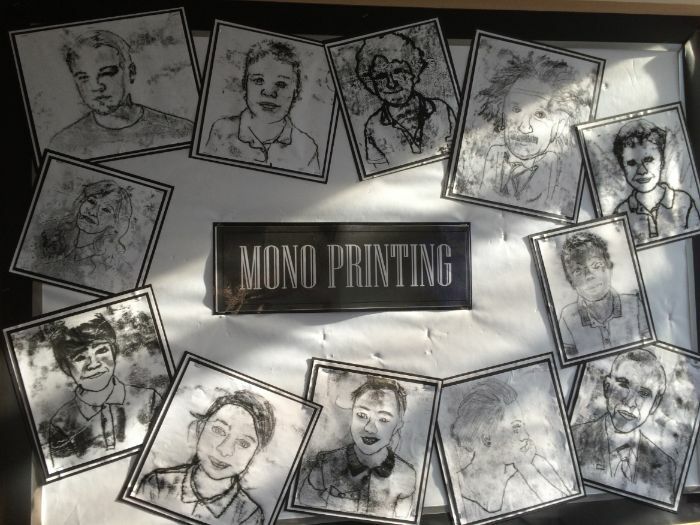 Pupils work from photographs producing their own individual pieces. They should try various painting techniques, like blending, to suggest 3-d realism or stippling to add highlights. The Clown shoes project is part of my ‘All the Fun’ theme based on the idea of Circus, theme park and carnival. The kids loved choosing which clown feet to paint and produced terrific results which were amazing in exhibition. Students developed their drawing and painting skills whilst developing their ability to assess each others work. This is a fun lesson I did with Yr 3 a few years ago. which involves ink experiments. Most child drew by eye but there were a couple who needed tracing paper for differentiation. 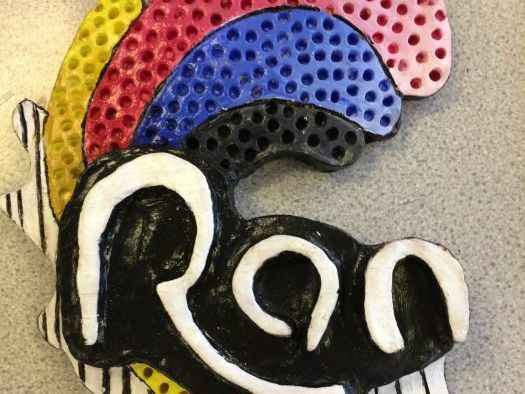 This was an International project (Icons of Peace and Equality https://artclassroomproject.wordpress.com/) we prepared for Nasarat 2 School in Afghanistan. Lesson Power point and Worksheets are prepared for you to recreate this lovely dove. 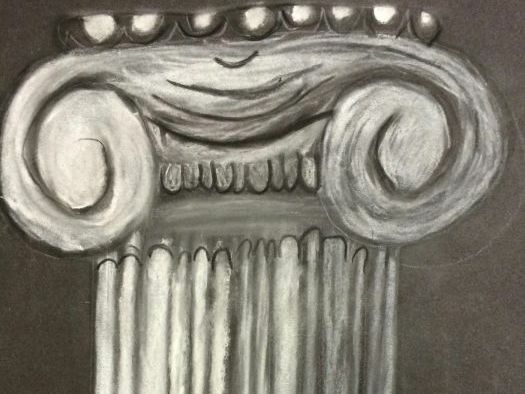 This piece of work develops observational drawing and tonal skills. I have done this type of work from Yr 4 to A level, my expectations were raised for the older pupil. The more time and care with detail the better the results. This is a selection of old pen Alice in Wonderland images in ink. Fantastic for collaborative work. Images have been gridded into pieces for easy printing. These lesson could be done in pencil, pen or adapted in many ways. A few years ago we did this a a project for the school library hanging the work in the windows for the passer by to see. My favourite piece and perhaps hardest to do is the Cheshire cat. 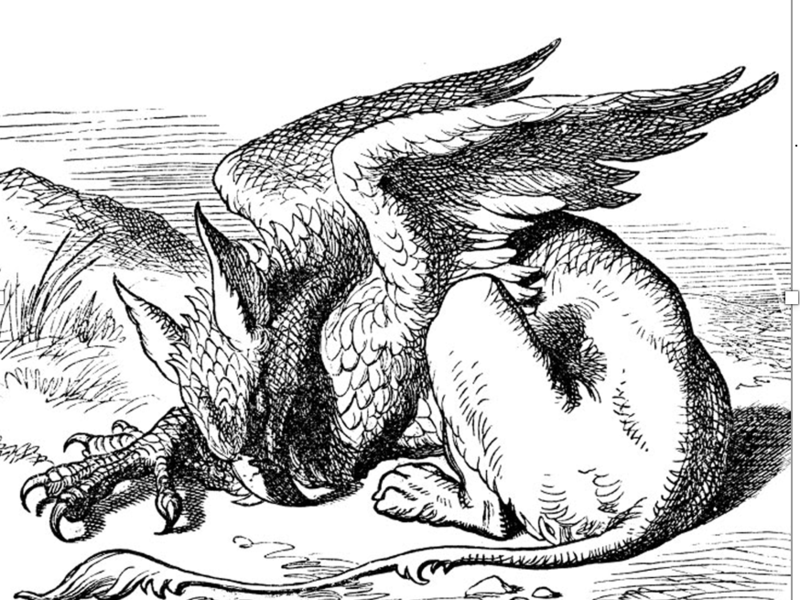 A child reading a book, a unicorn, a dragon and a blackbird with riders images evoked from fairy tales and adventures. In this bundle the images have been gridded ready to print. The project builds tonal skills and the ability to work in a group to realise a wonderful and exciting end product. I did this project with Yr 5 for book day but it can be done with any age from 7-18 yrs. 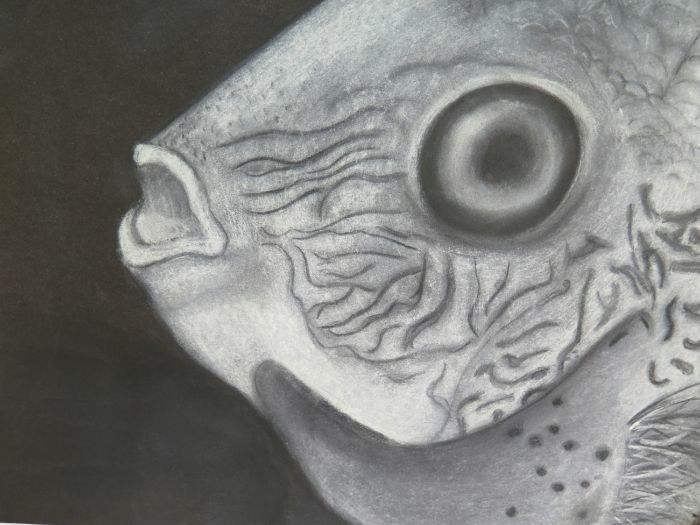 Charcoal and chalk fishes designed for GCSE Natural Forms unit of work. Students research images of Marine fish or use one of the examples. They draw and work on Black card or sugar paper. 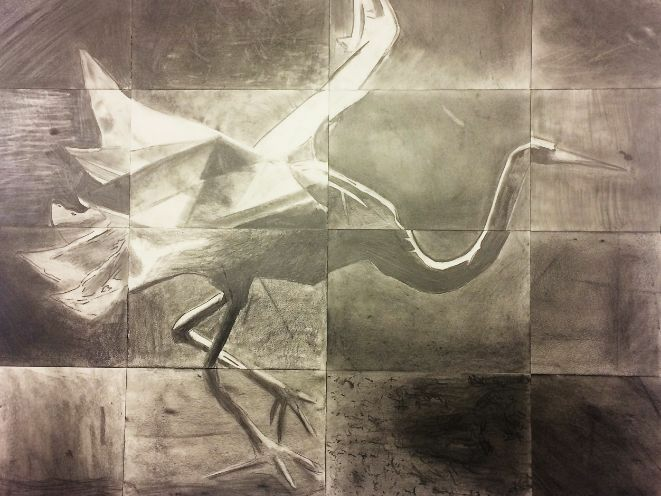 Students work together to produce a collective piece developing their tonal drawing skills.